Vintage style and impressive craftsmanship make the Born Temple a must have for the season. This women’s bootie has an upper made of distressed suede with a braided leather strap and burnishing to add to the vintage look. 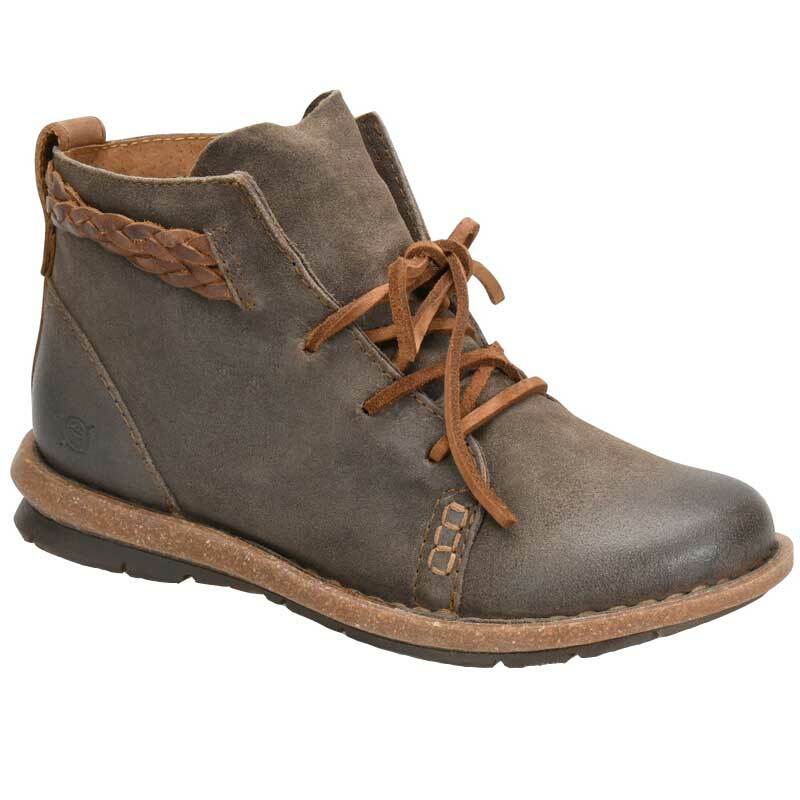 The leather laces create a secure fit and the microfiber lining makes for an inviting interior. The footbed of the Temple is leather covered and generously cushioned and the metal shank provides both lateral stability and underfoot protection. This bootie is crafted from Born’s Opanka hand-crafted construction, making it lightweight and flexible while still being durable. Finally, the Temple is finished off with a cork-infused rubber outsole for traction. Add a vintage touch to all of your favorite outfits with the Temple bootie from Born. Love these Born Temple booties. They fit great out of the box. I normally wear 8.5 and these fit too. These booties are so cute! I have old lady feet and my inserts fit well in these too. There is some slip in the heel and the boots do not tie tightly, but with my custom orthotics, they fit great! I can't wait to get them in another color!